CoolGreenPower’s COOLNOMIX controllers will be tested at U.S. Department of Defense facilities for energy saving potential and cost effectiveness. According to the U.S. Department of Energy’s Building Energy Data Book, space cooling and refrigeration comprise close to 15% of commercial building site energy use. For the U.S. Department of Defense (DoD), this amounts to more than $500M per year in energy expenditure. One cost-effective way to improve the energy efficiency of existing cooling and refrigeration systems is to implement more advanced and intelligent controls. 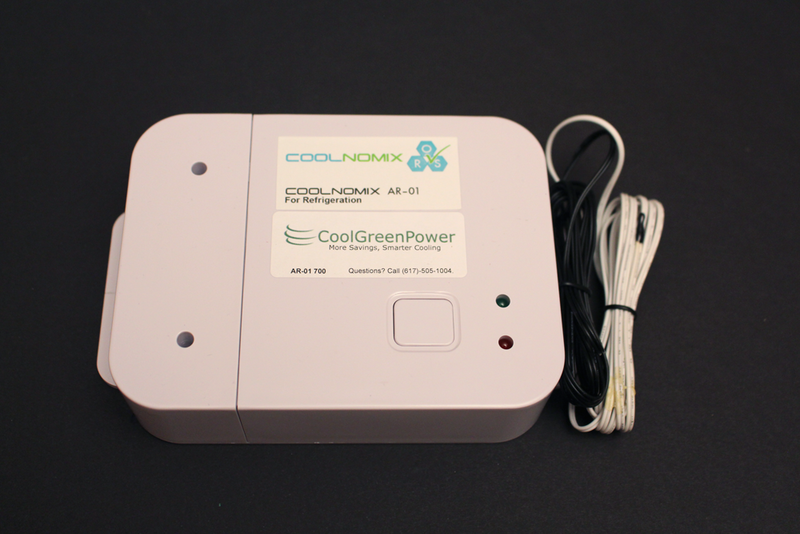 Fraunhofer CSE is working with CoolGreenPower to independently test the performance of the COOLNOMIX® retrofit solution, a standalone sensor-based control retrofit technology for vapor-compression air-conditioners and refrigerators. The technology uses a multi-sensor controller to optimize compressor runtime and stabilize space temperature to save energy without reducing thermal comfort. An award from the DoD’s Strategic Environmental Research and Development Program (SERDP) and Environmental Security Technology Certification Program (ESTCP) will support field testing at Fort Bliss in El Paso, TX and Joint Base Anacostia Bolling near Washington DC, two locations with distinct climates (dry vs. humid) that allow researchers to measure performance across a range of environmental and loading conditions. The COOLNOMIX® controller aims to achieve at least 15% end-use savings in targeted applications. If this savings figure applies to 70% of cooling and refrigeration at DoD facilities, the technology could yield more than $60M in annual savings opportunity, or 1.5% of total facility energy utilization. To learn more about Fraunhofer CSE’s SERDP & ESTCP award, click here or contact PI Bryan Urban.